Princess Fatma Neslişah Osmanoğlu (Neslişah Sultan) was the last member of the Ottoman ruling family born (February, 1921) before the fall of the empire in 1924. She was a descendent of Osman Gazi who founded the Ottoman Empire more than 600 years ago. She was a paternal granddaughter of the last Ottoman Caliph Abdülmecid II and maternal granddaughter of the last Ottoman Sultan and Caliph Mehmed VI Vahdettin. .In 1940 she married the Egyptian Prince Muhammed Abdel Monem. They were exiled from Egypt in 1953 when Egypt became a republic under Gamal Abdel Nasser. They initially lived in France but were allowed to return to Istanbul in 1957. She lived the remainder of her life in Turkey. 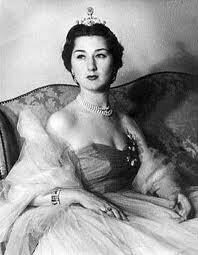 Her death earlier this month was the last of the Ottoman Royals born before the fall of the empire. This whole month has been fascinating. Thanks.